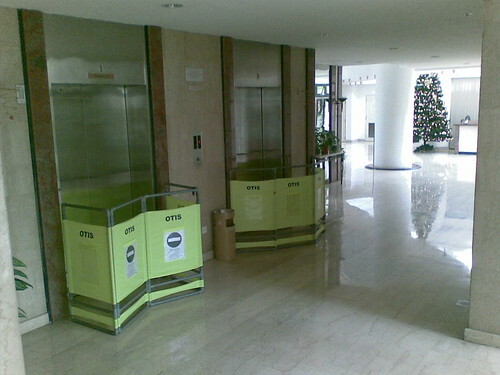 Rubenerd: Damn it now both the lifts are out! Damn it now both the lifts are out! Looks as though I'll be using the stars, no wait, stairs today… good thing I'm only on the seventh floor! Damn these monsoon season storms! ASIDE: I was going to use the "stars" to get up to my floor, but I didn’t have rope long enough to reach any of them. Anyway, you can’t see the stars at night in Singapore!